Non-phone jobs are about as in-demand as they come. 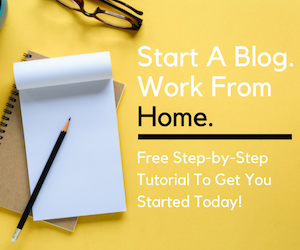 Many people prefer this low-key approach to working from home that doesn’t require answering an endless stream of inbound calls or having to follow-up with customers and clients via telephone. Plus, if you have kids in your care, an excited pet or noisy neighbors, it’s next to impossible to find a phone job that allows background noise (although a few DO exist). Thankfully, there’s more and more opportunities to work from home without ever having to pick up a phone. 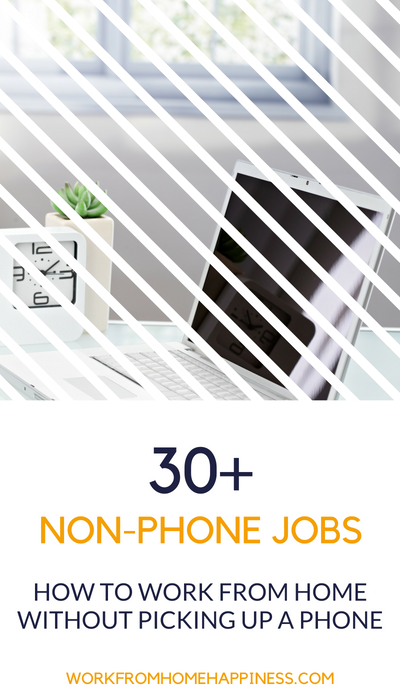 From writing to transcription and even the occasional data entry opportunity, here’s 30+ popular non-phone work from home jobs and extra money opportunities. When you search for something using Google, you get a long list of web pages that are supposed to match your inquiry. Sometimes, search engines do a great job at this. And other times, not so much. That’s where search engine evaluators come in. They help improve search results by rating their relevancy compared to the original search query. Lionbridge usually updates their work from home job openings on a monthly basis — so be sure to check in with them as frequently to see what’s new. On top of search engine evaluator positions, Lionbridge often has other non-phone jobs available like Android Mobile Search Reviewer and Map Quality Analyst. Appen is another great source of non-phone jobs (and not just search engine evaluation). But probably their most popular and readily available home-based jobs include search engine evaluators and social media evaluators. Earn $12.00/hour and work the hours you want when you work from home as a search engine evaluator for iSoftStone. There’s additional non-phone jobs here too like Ad Evaluator, Web Evaluator and crowdsourcing work. Join the Leapforce At-Home Program to find a number of non-phone jobs like search engine evaluation, personalized search engine evaluator, and ads evaluator. There’s a short qualification process to go through before being given a contract. Although one of the most requested non-phone jobs is data entry, there just isn’t a whole lot of jobs out there. However, there are a couple of companies that are known to hire home-based data entry workers from time to time. Formerly Virtual Bee, the Smart Crowd is now part of Lionbridge. But don’t worry, if you were a Virtual Bee worker, you can still use your same login credentials to access The Smart Crowd. The pay rate is pretty low for data entry work. I’ve been a member for some time and still haven’t managed to reach the payout threshold ($30.00). Dion Data accepts home-based data entry workers who meet their requirements. You must submit all your information, including a filled out application, via email if you’re interested in becoming a Home Contracted Vendor with them. They are NOT always hiring. This non-phone job involves processing voter registration and petition signatures. It’s helpful if you have two monitors since it will increase your speed and earning potential. They’re not always enrolling new users. But when they are, there’s usually a good amount of work available! One of the most readily available non-phone jobs is transcription. Home-based transcription work is also beginner-friendly since many companies are willing to hire typists with little to no experience. So, don’t let lack of experience hold you back from trying your hand at typing! Even better? You can start your own home-based transcription career from scratch. Be sure to sign up for the free introduction course over at Transcribe Anywhere to learn how. Must pass a short test to qualify as a typist here. Pay is per word ($0.005). Payments are made once a month on the 15th. Part of the Appen Butler family, AppenScribe often has a number of different transcription projects available. There are two small transcription tests you’ll need to pass. Work is available day and night and is claimed on a first come first served basis. If you can type 65+ words per minute, have a good set of headphones and high speed internet, you can get your foot in the door at Take Note! They’re (almost) always looking for freelance transcriptionists to join their team. Go Transcript is available to international candidates. You will have to pass a small test to get started. Payments are made once a week via Paypal. Their average worker earns about $150 per month and their top typists take home more than $1,200. How much you earn is entirely up to you — work as much or little as you’d like. There’s a lot of transcription companies that regularly contract with new typists. If you’d like to learn more about transcription, a good place to start is this Beginner’s Guide to Online Transcription. It discusses all the different opportunities to earn as a new typist and discusses what it takes to be successful. When you’re ready to make some serious money typing online, it’s a good idea to receive formal training. 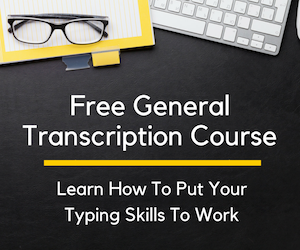 Over at Transcribe Anywhere, you can take a comprehensive course that will teach you everything you need to become a successful general transcriptionists. There’s even a free mini course you can take to help you determine if a career as a transcriptionist is right for you. If you’re just looking for a way to earn an extra buck here and there with the least time commitment, then micro jobs and short task sites are perfect for you. The per-task pay rate isn’t always great but, remember, a task can take you just a matter of minutes complete. This is by far the largest micro jobs site around. There are usually thousands of Human Intelligence Tasks (HITs) posted at any given time. You can find everything from image tagging to small transcription jobs. Some companies exclusively post their work on Amazon mTurk — you just never know what you’ll find. There are often a lot of data collection and research tasks available at ClickWorker. To work on projects, you need to take and pass base assessments. These are just to make sure you’ve got the skills needed to perform the work successfully. Payments are made every week as long as you’ve met the minimum payment amount ($5.00 for PayPal and $10.00 for bank transfers). Formerly CrowdSource, OneSpace lets you create a Workstation so you can claim and complete tasks. Part of your Workstation will include taking tests that, when you pass, unlock new assignments. Sometimes you can find higher-paying writing jobs here, which are quick and easy to complete. Check out Make Money in Your Free Time with Micro Jobs for more information on these popular short-task sites. Writing is one of the most readily available non-phone jobs out there. And don’t worry, you don’t need any experience to get started. Writing really is a versatile way to make money from home — you can write to supplement your income or make it your full-time job. Want to know how you can make your first thousand dollars as a writer? Be sure to visit Write Your Way to 1K to find out how! Textbroker pays you once a week via Paypal as long as you’ve completed ten dollars’ worth of assignments. Although a content mill, Textbroker gives writers a chance to work on higher-paying assignments, direct orders, and even move up to become an editor/proofreader. Check out my Textbroker Review to read my first-hand experience as a newbie writer. As its name implies, BKA provides its clients with keyword-rich articles. So, if you sign up as a writer for them, you will be writing content based around a set of keywords. At Great Content, you can earn as much as $37.50 for each article you write. To get started, you just need to submit a short 200-300 word sample to prove your writing chops. You don’t need to contract with a content mill to get started as a writer. Many newbies start off freelancing on their own and build quite successful careers. If you prefer to freelance versus contracting with a company, be sure to check out Write Your Way to Your First 1k. This course was developed by Elna Cain, a mother to twin toddlers, who was able to launch a successful freelance writing career from scratch (all while caring for her twins!). She shares her secrets to success with you in Write Your Way to Your First 1k, a very affordable way to learn what it takes to become a well-paid freelance writer — no experience required. Don’t forget to check out my helpful guide, How to Become a Freelance Writer, for even more advice and actionable ideas. There are a number of non-phone jobs as a professional scorer. These jobs vary a bit depending on the company you contract with but, for the most part, you score or evaluate an exam or essay while following set guidelines. Most of these opportunities are seasonal and are more readily available during the school year. You can become a professional scorer for ETS and evaluate student content both online and in person. The volume of work available changes throughout the year. This is one of the largest exam evaluation companies. Measurement Inc. has opportunities available to score exams in many different subjects. All Readers are hired on a temporary basis and are expected to work five days a week during their contract period. Pearson has non-phone jobs available throughout the year for assessors and scorers. The type of assignment can range from evaluating essays to scoring math exams. A growing number of companies offer live chat on their websites. And this is good news for those seeking non-phone jobs because it means more chat agents jobs! Usually, the company doesn’t hire chat agents directly. Instead, they contract with companies who provide live chat. As a hosting company, Site5 has customers around the world who need help with everything from billing questions to navigating cPanel. They sometimes have openings for full-time chat agents to assist their users. Become a Brand Advocate at Needle and earn extra money for recommending your favorite products. You get paid in cash and earn points which can be redeemed for products. At Talk2Rep, you can become a sales chat agent for popular brands, like AT&T. This is an hourly plus commission opportunity for any sales you make. Since so many customers interact with businesses and brands on social media and on community forums, community moderator non-phone jobs have been quite popular. This job can include everything from reviewing comments before they go live or responding to social media questions/comments/concerns on behalf of a business. LiveWorld provides 24/7 content moderation. Moderators review content, respond accordingly, and help protect brand image on social media. As a Mod, your job can include everything from chatting live with customers to moderation comments on forums. Mods are well-versed in managing communities and can handle social media comments all while generating buzz. You can work from anywhere as long as you have a secure internet connection. Crisp Thinking is built on the idea that brands need around-the-clock protection. This includes social media moderation, forum moderation, and social risk monitoring. They hire moderators on a freelance basis to work on projects as they become available. If you’re the person others lovingly refer to as the “grammar police” and spot errors when reading just about everything (yes, even the back of cereal boxes), then you’d probably make an excellent proofreader! You don’t always need experience or an English degree to get started, especially if you strike out on your own and become a freelance proofreader. Curious if you have what it takes? 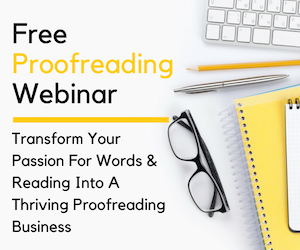 Sign up for this FREE 45-minute workshop today to find out what you really need to make it in the world of professional proofreading. ProofreadingPal hires eight months out of the year but always welcomes applications. Their contractors can earn anywhere from $300 to $3,000 a month depending on how many projects they work on. You’ll have to edit a sample document to get started at Domainite. The pay is on the lower side of what a professional proofreader would expect to make. However, it is a good spot to start if you’re looking to gain experience as a proofreader. Gramlee is always looking for talented editors and proofreaders. Since clients can upload projects at any time, you never know what kind of work may be available. Breaking into the field of proofreading isn’t always easy to do. That’s why Caitlin Pyle developed the only course of its kind that teaches beginners how to launch a career as a proofreader for court reporters. Proofread Anywhere is a comprehensive course that will help you understand what it takes to be a great, how to find clients, and best practices to become successful. You can even start with the free intro course to see proofreading transcripts is the right fit for you. I’ve also written a guide to becoming a proofreader which can help answer some questions you may have about the job. It’s a great place to start if you have absolutely zero proofreading experience! There’s just some non-phone jobs that are unique enough that they don’t really fall into a particular category. Nonetheless, they’re still valid ways to make money from home without having to pick up a phone. Operator is an iPhone app that connects shoppers with product experts. As an expert, you text personalized recommendations to customers based on their shopping needs — whether they’re looking for the latest technology or the perfect gift for their mother-in-law, an Operator Expert helps guide them to the right choice. Fancy Hands is a virtual assistant company that hires assistants to perform a number of tasks. Yes, there are phone jobs — quite a few of them, in fact. But there are also a number of non-phone jobs like calendar management, travel arrangements, and online research. If you prefer to avoid the phone, it’s definitely possible at Fancy Hands. Don’t forget about the possibility of freelancing! By using a popular marketplace, like Upwork, you can gain access to thousands and thousands of gigs — most of which won’t ever require telephone interaction. You can also sign up as a seller on Fiverr and side-hustle your way to financial independence or complete career freedom (check out these stories of Fiverr success for inspiration!). Be sure to bookmark this page and check back — I’ll be updating this list as I come across more non-phone jobs that can easily be done from home. Make sure to “like” Work from Home Happiness on Facebook for daily job leads and helpful work from home advice! This post may contain affiliate links. Please see the disclosure statement for more information regarding my use of them. Is there a printable copy of this list of non-phone work from home jobs? Hi Polly. Thanks for stopping by. I can make one for you easily enough 🙂 Did you just want a list of the companies with the link to their page or did you want the descriptions, too? Let me know and I’ll whip a printable up for you! I just came upon your site while researching for more info on the company Literably, and I just want to say thank you so much for the wealth of information you provide on this site. I’ve been working from home for a little over 10 years and LOVE IT!! But I’m in thinking now I need a little extra income to supplement my main egg and the proof reading information listed here is intriguing me. Anyhoo, just wanted to say THANK YOU FOR SHARING! Keep up the good work!! Thanks for stopping by — and thank you for the kind words. Working from home is great, isn’t it? That’s impressive you’ve been living the remote lifestyle for 10 years — it was not nearly as popular then as it is now. Proofreading can be a nice little side hustle — and there is quite a bit of work to go around! Again, thanks for stopping by — if you ever need anything, let me know! $25/hour to grade papers on Gradiate and up to $3,000/month to proofread documents. I doubt these are scams, but there has to be some sort of catch here. This sounds too easy. I hope it’s just something like not offering dental insurance or something. These sound like great side jobs to have. Thanks for the grand list! Thank you for the above article. It really is very informative especially about what kind of a freelancing job one do at home. I choose transcription and writing, but let me look at the courses offered about these two and decide which one to do first. Thank you so very much for this helpful information! You are a blessing. ..may your blogging journey be continued success! Some of the ideas mention here are peculiar hope all this works. Could I get a paper copy and description of all the non phone work from home jobs please. I have been looking into working from home so I can have more time with my children but I am truly scared to jump in without knowing all there is to know. I don’t even know what I would be good at! Do most people have more then one at home business they run on the daily? How do you make enough to cover what an out of the home job pays? I really need a work from home job due to major health issues. There are so many scams out there that I am not sure which ones are truly legitimate. My previous jobs have been in distribution and logistics. Are there any positions for scheduling appointments for companies on inbound or outbound freight? I could also do data entry and possibly some proofreading. No phone positions because I have severe hearing loss. I may have missed it when reading bit Rev is anot her great transcription company, they pay fairly well since I’ve been doing it. Has something happened to Gradiate? Every time I click on their link either from this page, or elsewhere, it says the page is not available. Thanks for stopping by! Let me see what I can find out about Gradiate I’ll keep you posted! CrispThinking has just changed their pay structure from hourly to per item, and they have a really convoluted structure for it. This is a great list thanks. There’s two more I can think of writing services that pay good money, iWriter and ConstantContent. Where do I find lists? I need a work from home job no I prefer reponding to emails and chat online thanks and advanced.